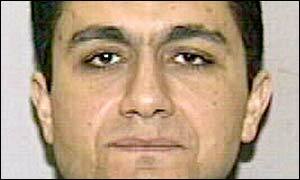 For the past four years, we have been told by the administration of George Bush and by the official 9/11 Commission report of Chairman Thomas Kean and Executive Director Philip Zelikow that Egyptian extremist Mohammed Atta was the key player in the 11 September 2001 terrorist attacks. Atta, according to the Kean report, was the â€œtactical leader of the 9/11 plotâ€. He was the pilot who on that dreadful morning flew the first plane, American Airlines 11, into the North Tower of the World Trade Center in New York. It was Attaâ€™s face, on television and in newspapers across the world, that became the symbol of Islamic terrorism. And it was Attaâ€™s name – not the names of any of the 18 other hijackers allegedly lead by Atta on that day – that was cited by international security researchers. Atta was, as the Kean report stresses, â€œthe tactical commander of the operation in the United Statesâ€. According to both the Bush administration and the official 9/11 Commission report, he was working on the orders of Osama Bin Laden who, from remote Afghanistan, controlled the entire operation. 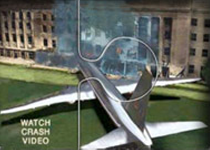 Now, almost exactly four years after 9/11, the facts appear to have been turned upside down. We now learn that Atta was also connected to a top secret operation of the Pentagonâ€™s Special Operations Command (SOCOM) in the US. According to Army reserve Lieutenant-Colonel Anthony Shaffer, a top secret Pentagon project code-named Able Danger had identified Atta and three other 9/11 hijackers as members of an al-Qaida cell more than a year before the attacks. Able Danger was an 18-month highly classified operation tasked, according to Shaffer, with â€œdeveloping targeting information for al-Qaida on a global scaleâ€, and used data-mining techniques to look for â€œpatterns, associations, and linkagesâ€. He said he himself had first encountered the names of the four hijackers in mid-2000. Schaffer himself was fully aware of the delicacy of his revelations. As such, he chose to first speak to US lawmaker and Speaker of the House Dennis Hastert (Republican, Illinois) and House Intelligence Committee Chairman Peter Hoekstra (Republican, Michigan). Schaffer said the two had assured him that exposing the secret â€œwas the right thing to doâ€. â€œI was given assurances we would not suffer any adverse consequences for bringing this to the attention of the public,â€ he said. Schafferâ€™s decision to expose Operation Able Danger has given rise to some difficult questions, not the least of which concerns the role of Atta in the top secret operation. It also raises the question of whether anyone in the Pentagon knew in advance what Atta was planning on 9/11. When the â€œofficialâ€ facts are turned upside down, we need to go back to the sources and ask: What do we really know about 9/11? Our most important source, Atta himself, is dead. So for now, there is only Schaffer, a 42-year-old native of Kansas City, who worked for the Defense Intelligence Agency (DIA) in Washington at the time of the 9/11 attacks and had insights into the Pentagonâ€™s top secret operation. According to Schaffer, when he informed the FBI and urged them to arrest Atta, the Pentagonâ€™s lawyers intervened and protected Atta for reasons that remain unclear. The official 9/11 Commission report, which according to its own declaration aimed â€œto provide the fullest possible account of the events surrounding 9/11â€ in its 567-page report, fails to mention Operation Able Danger or any other US-based SOCOM operations. On the contrary, in its recommendations as to how the US could be better protected from â€œterroristsâ€ in the future, the Kean report on page 415 suggests that SOCOM be given larger powers to carry out covert action operations, previously a domain controlled by the CIA. The Kean commission also recommended better oversight in order â€œto combat the secrecy and complexityâ€. Yet, at the same time, we learn from Schaffer that the Kean commission did not provide the full story on 9/11, and specifically on Able Danger. Schaffer, according to his own testimony, had personally informed Zelikow about Able Danger. Yet Zelikow covered up this piece of the puzzle and, to Schafferâ€™s frustration and disbelief, decided not to include this data on the pretext that it was â€œnot historically relevantâ€. If it is true that Zelikow declined to include the information on Able Danger in the Kean report, and if it is true, as Zelikow wrote, that Atta was the â€œtactical leader of the 9/11 plotâ€, and if it is furthermore true, as Schaffer publicly explained, that SOCOM protected Atta prior to his deadly attack on the US, which claimed 3,000 lives, then the account as provided by the official 9/11 report is discredited, and we are faced with a sea of lies and cover-ups.